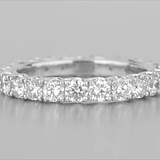 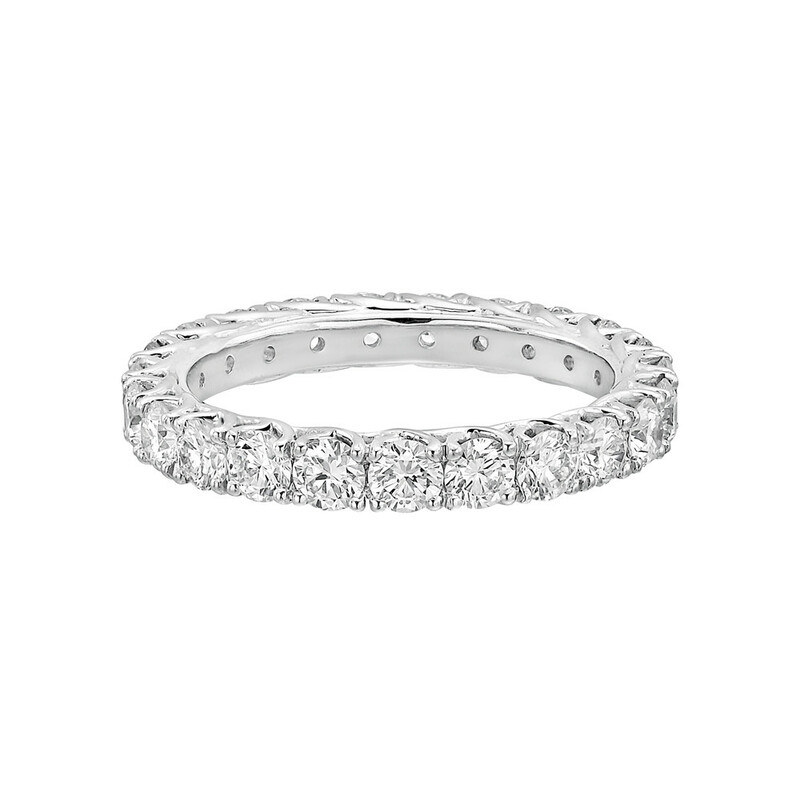 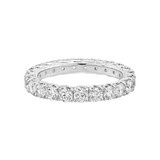 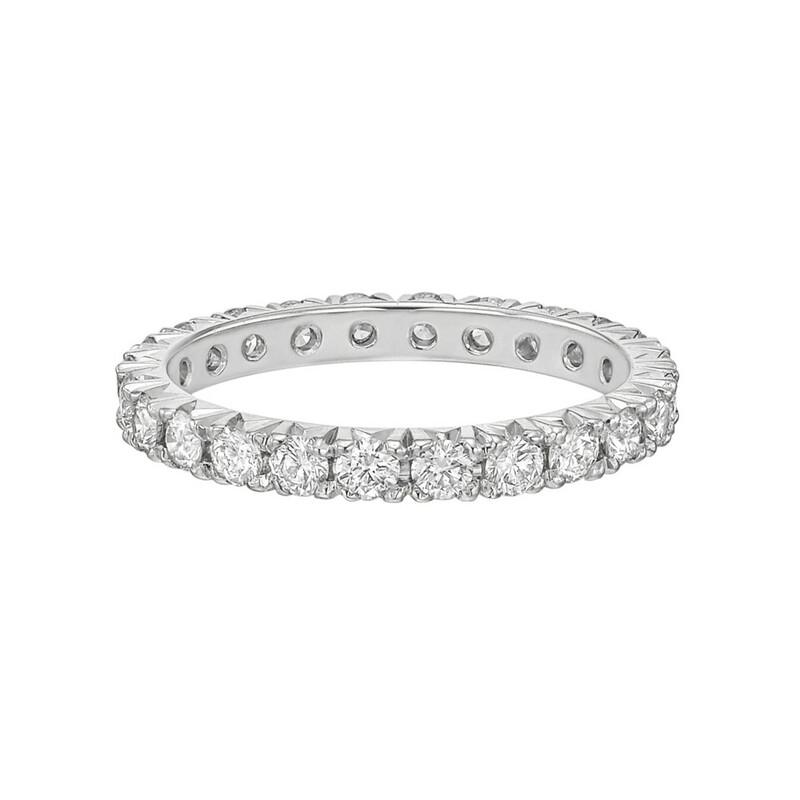 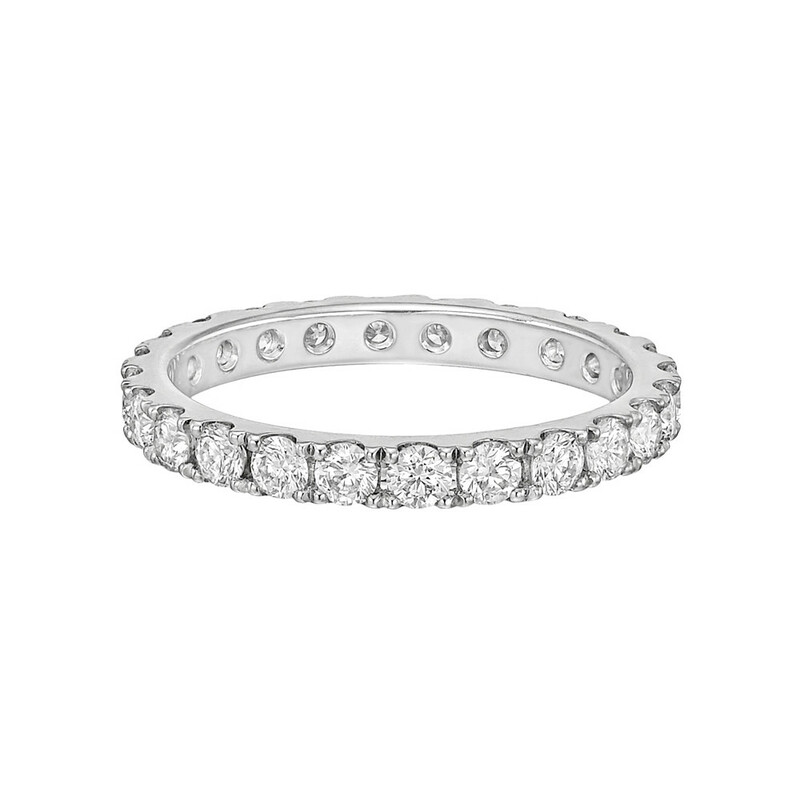 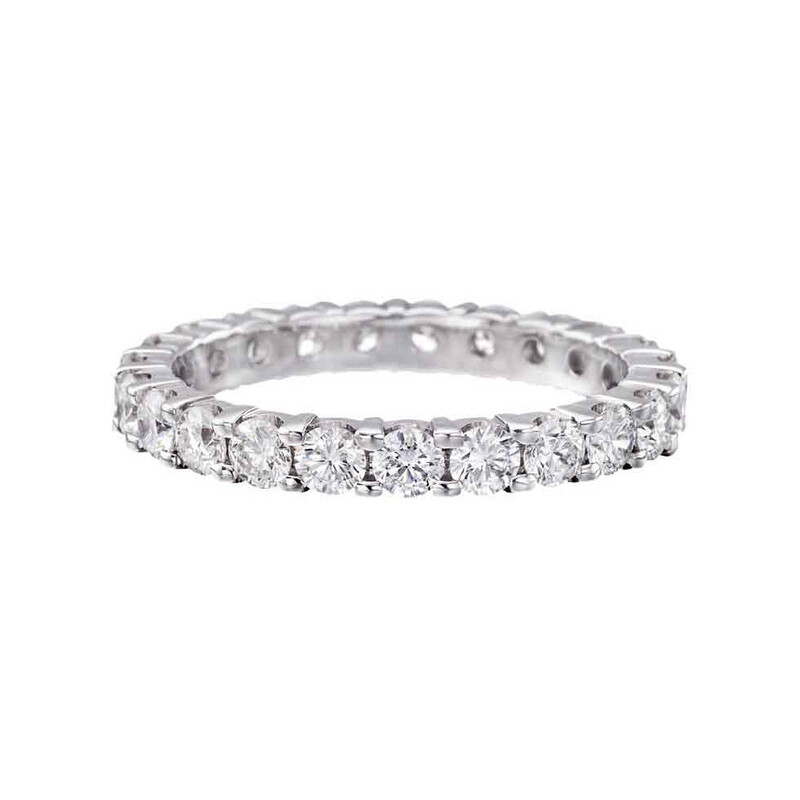 Diamond eternity band ring, showcasing near-colorless round brilliant cut diamonds prong-set in platinum. 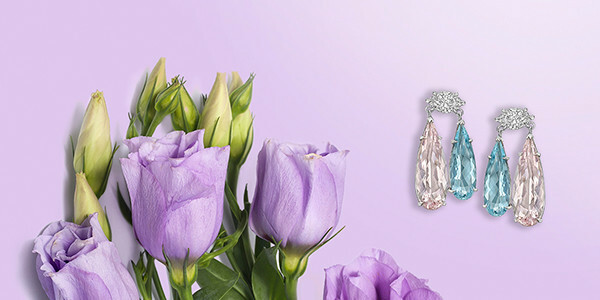 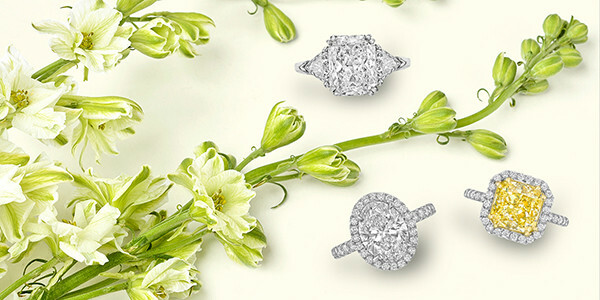 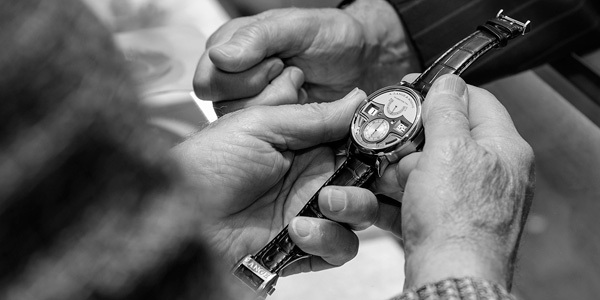 Twenty-three diamonds weighing 1.86 total carats (G-H color/VS1-VS2 clarity). 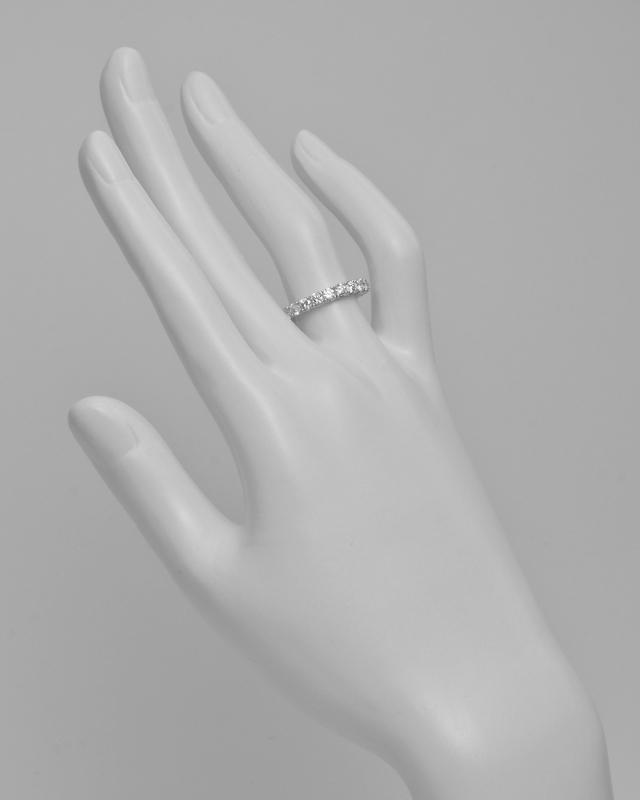 Size 6.25.